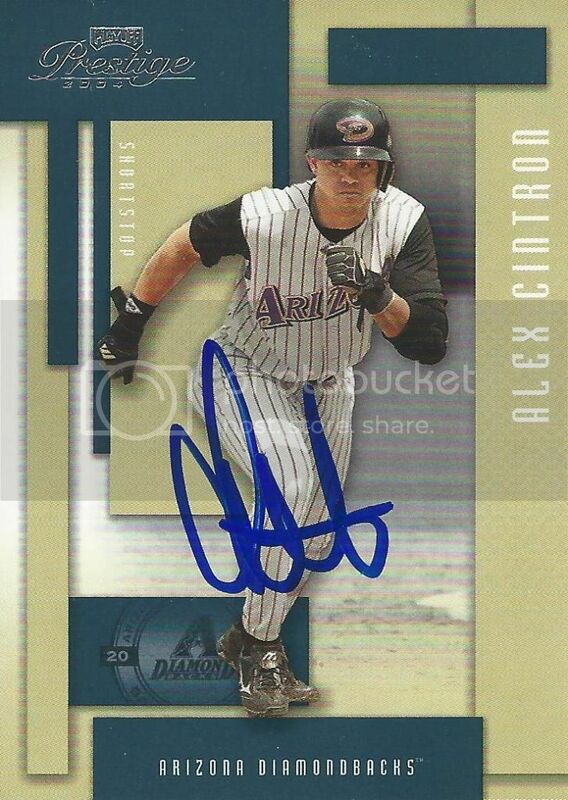 Former Diamondbacks infielder, Alex Cintron signed his card from the 2004 Playoff Prestige set for us at the Alumni Game this past weekend. Alex played for the D-Backs for parts of five seasons from 2001-2005. While his primary position was shortstop, he also filled in at second and third base. In 439 games he hit .279 with 25 home runs and 152 RBIs.